Between dehydrating flights, sightseeing under a blazing sun, and TSA limitations on which products you can pack… Sometimes vacation equals irritated skin. But don’t worry, beauties! 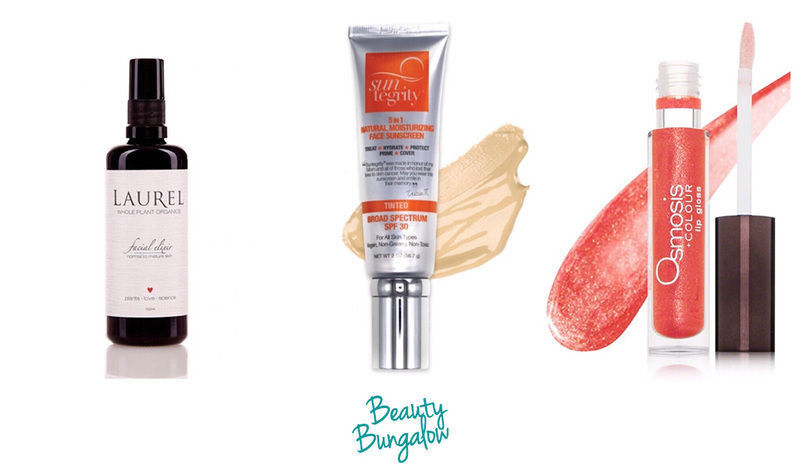 This short list of Beauty Bungalow favorites will keep your skin glowing and hydrated no matter where your summer adventure takes you. #1: Laurel Skin Elixir: a wonderfully blended potent mix of herbs and flowers. It’s hydrating and feeds your skin phytonutrients to leave skin plump and moist Facial mists are not just a feel-good luxury. They offer hydration which is essential to skin health… This one is especially nice to have on long flights and for soothing skin after being out in the sun. #2: Suntegrity 5-in-1 Sunscreen: our go to year-round but especially on long summer days. This silky physical SPF (it has 20% zinc oxide which is great coverage!) protects against UVA and UVB rays so skin stays healthy. We all know, sun damage is not always visible and can lead to cancer risks as well as accelerated wrinkles and a loss of elasticity. Bonus points: This lightweight SPF is tinted to even out skin tone while still looking very natural and dewy. #3 Osmosis Lip Gloss: a painted lip pulls together any look in an effortless way. This non-sticky gloss is hydrating and imparts the perfect shimmer to compliment your summer glow. Come visit us to sample and try on one of the many colors we carry at the Beauty Bungalow! Denise says, “No matter where you are, your skin is always with you. Take time for self-care, especially on summer vacation.” Travel beautifully!